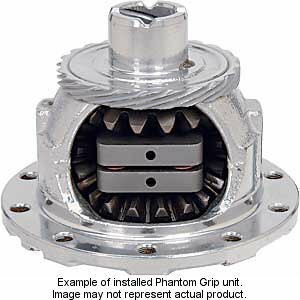 The Phantom Grip Limited Slip Conversion Kit installs into your non-lsd open differential, converting it into a proven and competitive limited slip lsd differential that enhances your traction needs. PG’s Limited Slip’s 1.5-2 way function LSD will considerably improve handling in daily driven, street/strip warriors, or in full race vehicle applications. 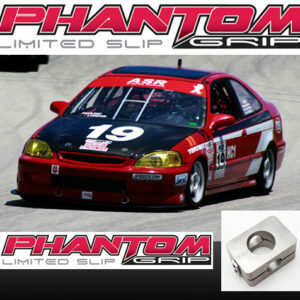 All Phantom Grip products are constructed of only the highest-quality, hand selected materials. With over 500,000 miles of vigorous professional performance testing, (SCCA, drag, rally, hill climb, ice, rain, etc.) we have been able to fine tune each application through specific heat treating and rockwell testing to achieve maximum performance and reliability. Each Phantom Grip LSD Kit is assembled with pressure tested matched sets of progressive-rate springs to achieve equal load distribution to the disc plates, which dramatically enhances reliability and performance. 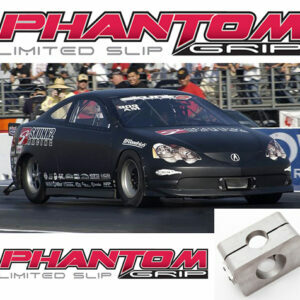 Proven Performance with Phantom Grip LSD Conversion Kits since 1999. The “PG” Phantom Grip LSD Kit is extremely strong and durable and comes with a Lifetime Warranty against manufacturer defects. Our ‘Disclaimer of Warranty’—WARNING: Installation of any Phantom Grip component should be performed by persons experienced in the installation and proper operation of transmission and drivetrain products. Purchasers expressly affirm they are relying upon their own skill or judgment to select and purchase Phantom Grip Limited Slip Conversion Kits and/or any other PG Products and users do not hold Phantom Grip liable for any damages. 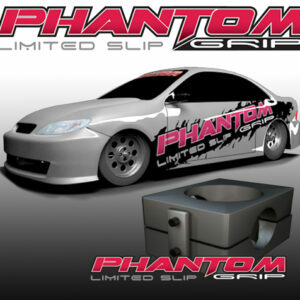 Warranties are void against incorrect installation, or modifications done to Phantom Grip products. 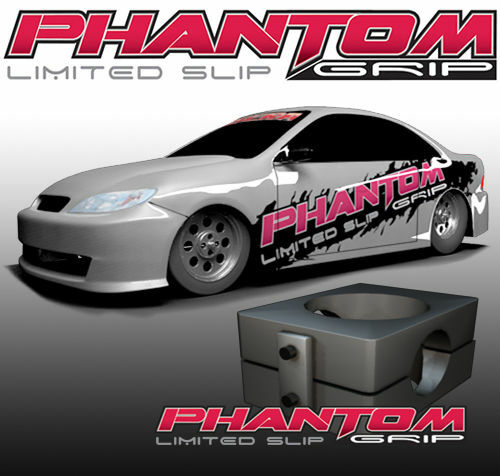 With such a passion for perfection, we are confident that when you choose Phantom Grip products, you are choosing, by far, the best limited slip conversion kit on the market. For Lexus open differentials the Phantom Grip Limited Slip/LSD Conversion Kit will convert your open, non-lsd diff, to an LSD Limited Slip.